With his background as a firefighter and Child Passenger Safety Technician, Greg serves as CEO for Safe Ride 4 Kids. Always looking for new ways to make a difference in people’s lives, Greg is an Isagenix associate. Personal coaching helping clients rise from where they are to where they want to be in relationships, business and life. Greg is helping people change the course of their lives and transform their most important relationships. So whether you want to transform your intimate relationship to be full of Love, Passion, happiness, fun and respect OR you want to transform your relationship with yourself, Greg Durocher has the tools and strategies to help you achieve your goals and Dreams and ultimately, Live Life by Your Design. 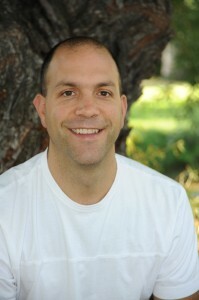 For more than 15 years Greg has been a student of human behavior and change. He has trained under and learned from the very best in the world: Tony Robbins, Steve Linder, Cloe Madanes, Mark Peysha, John Gray, Deborah Battersby and many others. His training includes: Strategic Intervention, Neurostrategies, NLP, Hypnotherapy and EmMatrix. In 2003 he married his wife, Amie. They have three children. They live in Denver, Colorado. He spent almost half his life in the fire service. He was a career firefighter/paramedic for 13 years and was a volunteer for five years prior to that. In the fall of 2011, he resigned his position with the fire department, in good standing, in order to pursue serving others in this new way. As a firefighter part of my job was child passenger safety. As another area of prevention, it became a passion that started second entrepreneurial venture, Safe Ride 4 Kids. Through that venture, I have studied business and what it means to be a CEO or entrepreneur. I took classes at the Denver Small Business Development Center where I eventually became one of their trainers and consultants. I have put together my coaching background and business background to coach fellow business owners. Learn about my relationship program to Create Your Great Relationship.